NTI Upstream is a family business. 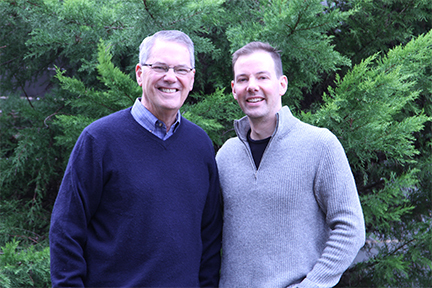 Father and son duo, Dr. Ira J. Chasnoff and Gabe Chasnoff, created a partnership more than fifteen years ago to establish a company that could produce research-based materials that they could disseminate to the general public. Dr. Chasnoff's work with high-risk children and the people caring for them provided the fuel for Gabe's creativity and together they produced critically acclaimed and award-winning educational and socially-conscious resources for individuals and organizations working with high-risk children. A person standing near a river hears a call for help and sees someone drowning. He jumps in and pulls the struggling swimmer out of the water and resuscitates him. As he finishes resuscitating the first swimmer, a second cries out. Again, he enters the water and with great effort hauls the second drowning person ashore. A third person calls out for help and he jumps to the rescue and nearly drowns in the effort, but manages to pull the third person out of the river. An admiring crowd has gathered when a fourth person calls for help and our hero walks away. Someone in the crowd shouts, "Where are you going? What about this person who is drowning?" He turns and says, "I'm tired of rescuing people from the river. I'm going upstream to find out who's pushing them in." NTI Upstream is a recognized leader in translating information and knowledge into educational programs and materials accessible to both professionals and the public. Our catalog includes acclaimed works of narrative and research-based non-fiction, award-winning films and videos, and informative software, brochures, and training manuals. For more information about our products and services, please visit our online store at www.ntiupstream.com/shop.